Due just south of the Bay Area’s cultural and entertainment hotspots of Oakland and Berkeley and north of the nation’s innovation capitol, Silicon Valley is the East Bay’s very own Castro Valley. 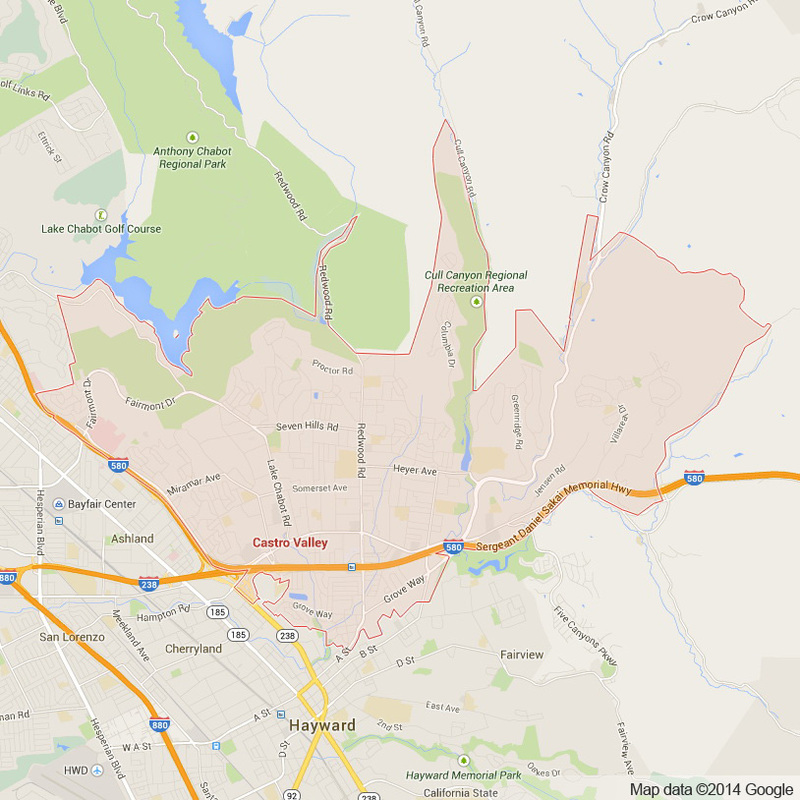 Castro Valley is a gateway to all that the East Bay and Silicon Valley have to offer. 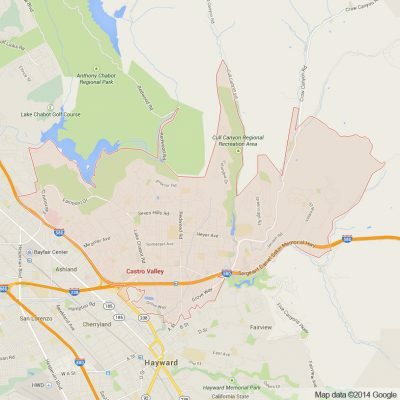 Like other East Bay towns, Castro Valley is situated among the rolling East Bay foothills that beautifully overlook familial neighborhoods and an intriguing downtown area. With such easy access to major freeways and BART, Castro Valley is an easily accessible destination for all visitors of the Bay Area as well as many long time residents. This calm town is both low in crime and welcoming to visitors interested in exploring the diverse and interesting corners of the greater metropolitan Bay Area. At Apex we are proud to now offer comprehensive luxury limousine and sedan transportation services to residents and visitors of Castro Valley alike. For couples undertaking the massive responsibility of organizing a wedding, Apex limousine transportation is here to make your very special day as easy as possible. Our professional limo drivers and elite fleet of luxury sedan, SUV, and limousine vehicles help ease you of transportation responsibilities by always arriving on time and consistently providing luxurious conditions. With many prime wedding locations in Castro Valley to choose from, our intimate knowledge of the area ensure our drivers will never get lost and always make your wedding day memorable. For High Schoolers looking to add extra luxurious flare to their Junior Prom or Senior Ball, at Apex limousines we offer full transportation services within as well as to or from Castro Valley. A favorite among students and parents alike, our professional limousine drivers always ensure the safety of students while simultaneously ensuring that their prom or ball night is one they will never forget. For those Castro Valley residents looking for a day long or weekend get away, we offer full and comprehensive Napa Valley Winery Tours. Our limousine and sedan tours are the perfect way to explore the popular and hidden wineries sprinkled throughout the Napa Valley. The Napa Valley produces world renowned wines and is only 45 minutes away from Castro Valley. After a long work week there really is no better way to relax with friends and family than in one of our limousines, sedans or SUVs while sipping on some of the world’s best wines. For those in need of transportation to or from one of the Bay Area’s major airports (OAK, SFO, SJC) Apex always ensures timeliness so you will never miss a flight. At Apex we take luxury car transportation seriously. We guarantee that when choosing Apex you will be satisfied – every single time. Join us and let’s make your next special occasion one you’ll never forget. Please call us for car service all inclusive total for Castro Valley to/from Napa Valley transfer.